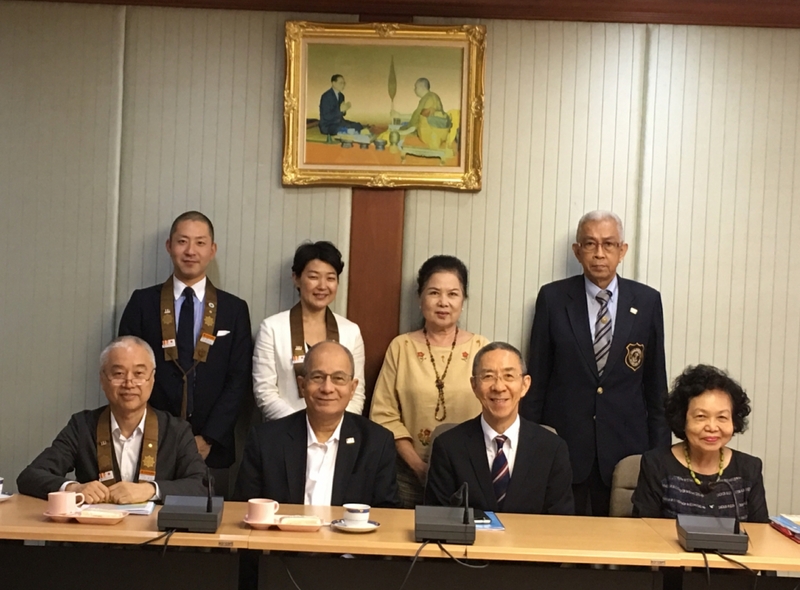 The Organizing Committee of the 29th WFB General Conference from Japan Buddhist Federation (JBF) comprised of Rev. Masamichi Shodo Kobayashi (Vice-President of The WFB), Rev. Yoshiharu Tomatsu (Secretary General), Rev. Yuken Kikuchi (Secretary of International Affairs) and Rev. 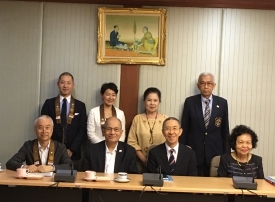 Tetsuen Saito (Deputy Secretary of International Affairs) and from The WFB Headquarters comprised of Mr. Phallop Thaiarry (Secretary-General), Mrs. Kanchana Soonsawad (Executive Council Member of The WFB), Mr. Idanont Thaiarry (Secretary of the World Fellowship of Buddhist Youth), Mrs. Sawanee Chuensumran (Deputy Secretary-General) and Rear Admiral Isara Yimpanich had a meeting on pre-arrangement of the 29th WFB General Conference at The WFB Headquarters on 1-2 October B.E. 2561 (2018). Its detail were discussed and preparation is going on very well. The conference will be held in Narita and Yokohama, Japan in early November this year.